PriceRite is a limited-assortment supermarket chain that is located in Wethersfield, Connecticut. The supermarket locations include Maryland, Connecticut, New York, Massachusetts, Rhode Island and Pennsylvania. There were 51 supermarkets as of October 2013. The company stores are American-owned and this is why it has always incorporated the term “An American Company” in its trademark. The company started in 1995 following the opening of the first limited-assortment concept store by Wakefern Food Corporation in Massachusetts. The PriceRite name was assigned to a new prototype after the company failed to successfully become part of the warehouse club concept with its Warehouse Club. The new prototype in question was a deep-discount, limited-assortment supermarket whose objective was battling with no-frills operators that were gradually increasing in North America. In the following years, the concept was amended to focus on the freshness and size of departments supplying perishable products. Another observable change is the fact that the new stores like Brockton’s PriceRite are much larger in size compared to earlier stores. A PriceRite store was established in Azusa, California in 2005. The opening was done in collaboration with another company, K.V. Mart, Co. based in southern California. 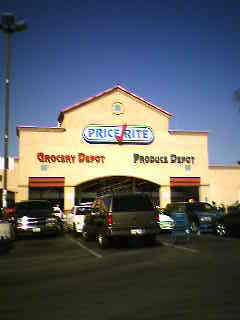 Another store for PriceRite was also established in Hawaiian Gardens, a Los Angeles suburb. A store was opened in Providence in March 2008. The store’s size was 55,000 feet square and had extra departments and features like fresh mozzarella cheese and a fresh-roasted peanut stand. The PriceRite mini-clubs were generally operated by members of Wakefern. The mini-clubs include the ones in Toms River, New Jersey and Rockaway Township. In 1994, the last PriceRite club was closed.